While it’s been almost a year since the release of Alison Goldfrapp’s sixth studio album, Tales of Us, I’m still not over it. It has definitely turned into one of my favourite albums by one of my favourite artists. 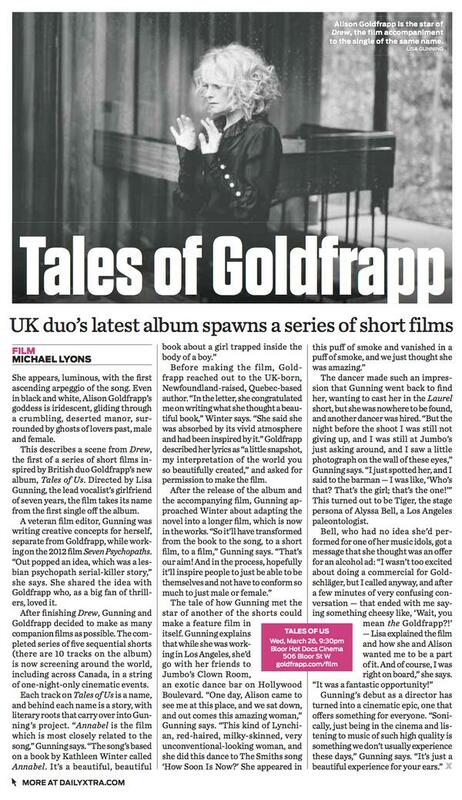 When the UK musical duo turned a few of the songs into short films directed by Alison Goldfrapp’s partner, Lisa Gunning, they’ve shown how there are a number of tales behind Tales of Us. The scientist/dancer ended up getting “Laurel” tattooed on her back to commemorate the event.